The classic story of the Nutcracker is coming to the big screen just in time for the holidays. 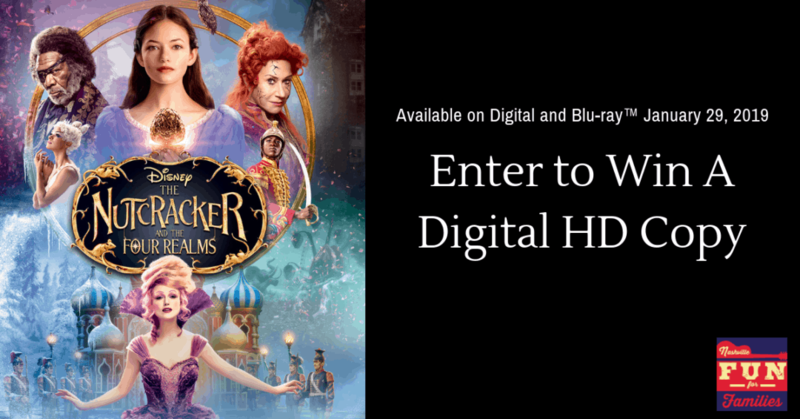 Disney’s The Nutcracker and the Four Realms arrives on Digital and Blu-ray™ January 29!. Would you like your own digital HD copy? Enter below! Winners will be notified via email shortly after 12 PM on Friday, February 1, 2019. If you log into Rafflecopter using Facebook, be sure to check that email address). Once you are notified, we will send you the details to claim your movie. The kids sure do, I don’t.